Whether you have an acute condition that needs immediate attention or if you don’t have any present health challenges and wants to keep it that way, we will put together a great plan to help you get the results you want. Our Abbeville chiropractor, Dr. Matthew Durham has been happily serving the Abbeville community for 29 years! He has helped thousands of people find natural, gentle relief here at Abbeville Family Healthcare. 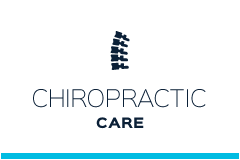 Our dynamic approach to chiropractic care helps you get better faster! Our chiropractic approach uses a low-force adjusting instrument called Impulse. 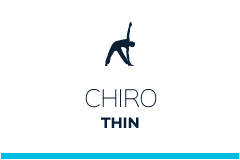 It gently adjusts your spine without the more forceful twisting and popping type of adjustment that keeps many folks from ever trying chiropractic care for their pain. It’s so safe and effective Dr. Durham used it on his wife and each of their four children! This adjusting technique has helped Abbeville community individuals from newborns to seniors! We want to help you too! When you visit our office, whether your visit is to handle an acute condition that needs immediate attention or you are in need of a stress-relieving massage, or if you would like to be one of our wellness patients who don’t have any present health challenges and wants to keep it that way, we will put together a great plan to help you get the results you want. You may need nutritional counseling, intersegmental traction to pump fluids back into the discs, electric muscle stimulation to reduce muscle spasm and pain, cervical traction to help relieve neck pain and headaches, or rehab exercises that help strengthen you spine so that when we get it fixed it stays that way. 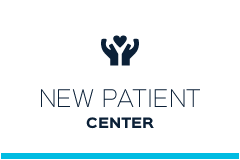 Most recently we have added additional therapies that are specifically for Peripheral Neuropathy such as Low level Light Therapy and Nerve Stimulation. Desarae is our massage therapist that provides 30, 60, and 90 minute sessions of stress relieving massage. Your treatment will always to be tailored to your particular needs. You’re never just a number here. Questions? Ready to get started? Call our chiropractor Abbeville today to schedule your appointment! Loved it! Everything was explained simply and everyone was so nice! I walked out feeling like I could do cartwheels! Everyone is fantastic when I have a visit! Dr. Durham is a great doctor. The staff is very nice to. I would defiantly see him again, and refer friends and family. I have a very good experience every visit. I would highly recommend Dr. Durham. Dr. Durham was highly recommended to my husband and we were in no way disappointed. 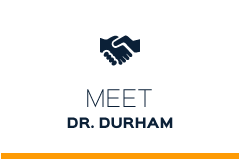 I realize that my husband has only seen Dr. Durham twice, but we are very impressed with his level of professionalism and knowledge. We trust him and have a high level of confidence in him. He is very caring and shows much concern for his patients. We honestly feel that we have made the right decision.